After a solid day of team-only drills on Saturday, team PR1ME received some exciting news. 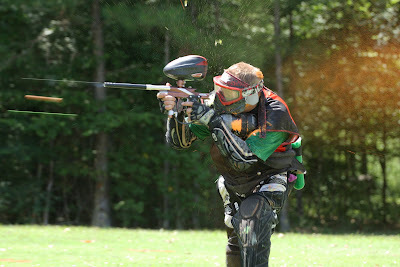 Our fellow Alabama team out of Cullman (Advantage Paintball) would like to scrimmage with us, and they had a special guest. That guest was, XSV pb superstar Thomas Taylor. However hard we try not to, you make assumptions about people. Whether on appearance or rumor, or knowing that they have a bit of celebrity under their belt. Thomas Taylor: pro of almost a decade, winner of titles, sporting tattoos and the ever-notorious mohawk, some of us weren't sure what to expect. I mean, we are from Alabama, and he is from California. Instead, he did his home state proud. He was approachable and frank. Humble and helpful. I even asked him about Alien and his experience, he didn't badmouth them one bit. On the contrary, Jack Rice is still a personal friend and they still speak often. I was pleasantly surprised. Maybe having a young child (now just over a year old) has calmed him, or maybe he's just always been a laid back Cali guy. T.T. from a not often back center. Thinking, "Rich, it's so easy. On the field is a different story. We were only graced (or shall we say laced?) with his on field performance for a few points, but I can say unequivocally that he's the consummate front player. He's fast, he fills gaps, and he's just plain crafty. Like sidestepping a corner by 10 feet then running at the snake-insert (god) but diving off last second into the snake. Eyes up, watching the paint. If you gave him an inch, he took a mile. While Avarice has had the further honor of being coached by #77, it seems they've made a solid choice. He conferred with them often. We was supportive, but also to the point if grave errors were made. Team PR1ME expects to see solid improvement out of Avarice, we certainly saw some out of them through the course of the day. They have a few familiar faces from back in the day leading the squad, plus some up and comers. Like Avarice's snake player Liem Nguyen. Fast, aggressive, and hungry. He was giving us a headache on the snake-side all day. Thomas Taylor, Scott Q, and Liem Nguyen just before a point. The day went well. A ton of points played. Box after box of paint shot. And it was uncharacteristically cool in the low 80's. 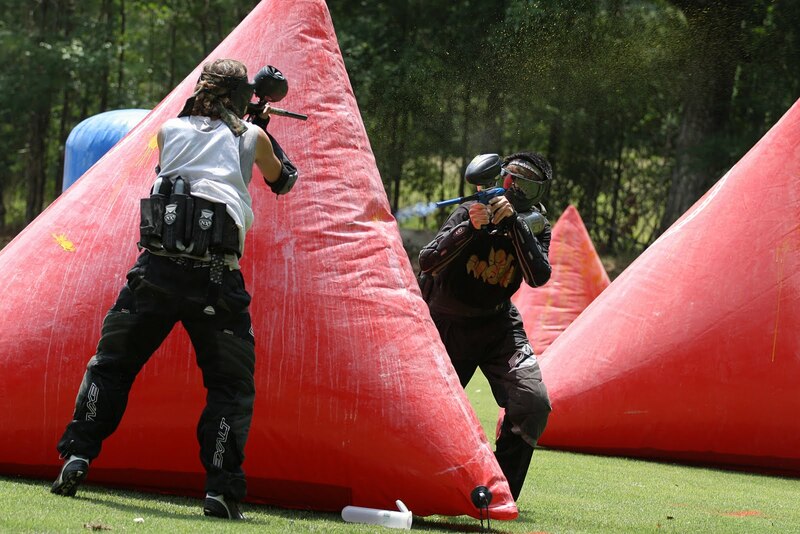 The field layout came to play out well, with a standard push snake side, but a more sneaky D-side. Run-thrus were commonplace. In sum, I can say that seeing other teams in Alabama bringing in world class players to teach them does all of us proud and is for the betterment of our sport and our state. There's nothing better for developing players than to surround themselves with experienced winners. Plain and simple. I expect big things out of the state of Alabama in New Jersey. Thanks for joining us Avarice. Hope to do it again some time real soon. Seems as soon as we give some love to the photographers, they shower it back in spades. They're like bartenders, start treating them well, next thing you know you getting yourself a double on the house. Well we certainly doubled up, here. 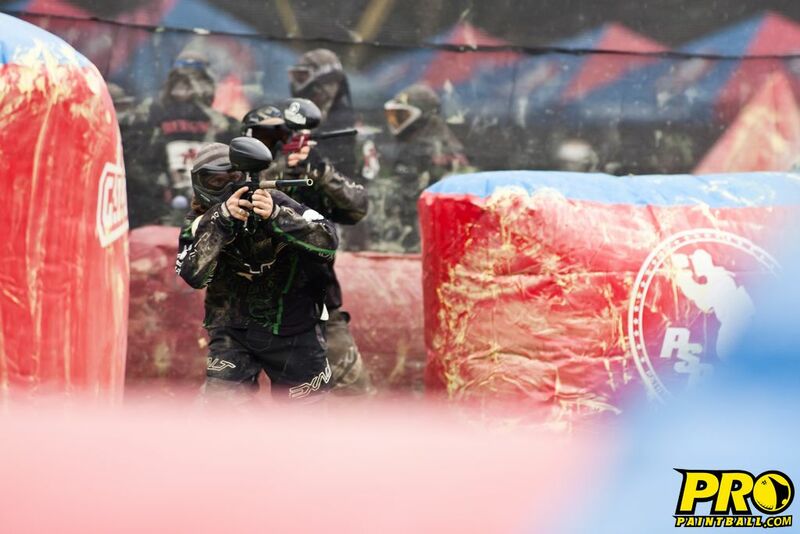 Photos from Stretch of 1904Photography posted on ProPaintball.com and Hunter Dallas of TufshotMedia dropping a few video mixes for SocialPaintball. Catch why we our proud to call Mike Paxson and Matt Sossoman our coaches in his "TUF Teams"& "Chicago Mix 2" vid as well. Murderous. Chris Roark gettin TUF with his Red/White 2011 Indy. Call it the "ROLL TIDE." Hi all! 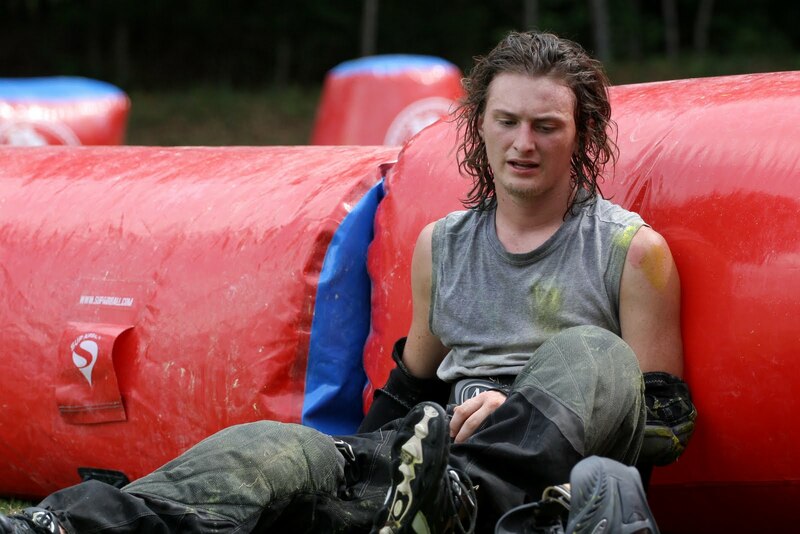 Welcome to the first ever interview from Prime Paintball! 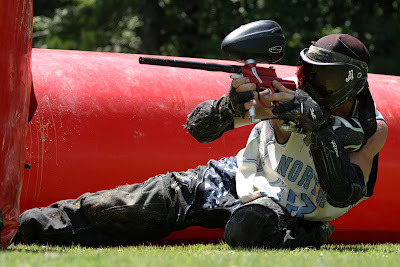 Our first (and certainly not our last) subject is a burgeoning paintball photographer. 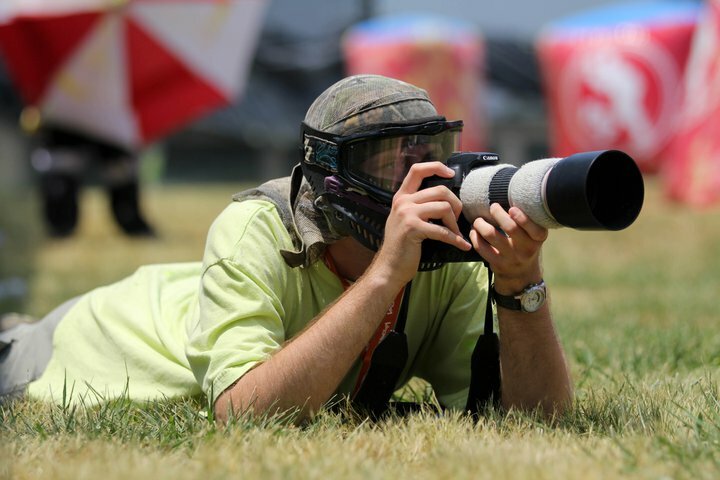 Paintball and photography go together like lamb and tuna fish...wait, spaghetti and meatballs? Well they go together real well. Like, paintball, photography is a skill of angles, focus, and shooting people. This gentleman has been getting his chops shooting at the team PR1ME training facility and has recently stepped into the regional tournament circuit (CFOA for one). We have a ton of respect for Michael; internally motivated and always seeking improvement. 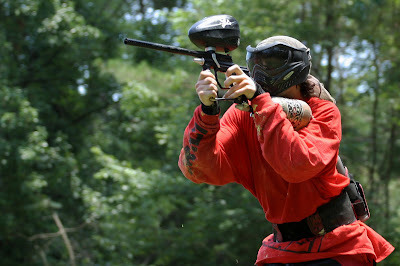 He has a thoughtful, cerebral mindset to capturing paintball players in the heat of action or emotion. We felt compelled to ask him what makes him tick (or, click?) and maybe get a little insight into the photography realm. But without further or do, let's debut some interview! Who are you and and what do you do? My name is Michael Day, I'm 21, I shoot people's faces, steal their souls, and collect their photons. You know...photography stuff. When and how'd you get into photography? 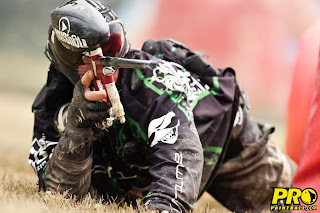 I'd filmed paintball a few times using borrowed gear in high school and my first year of college, and a guy on the team I'd been going out to shoot was going to SCAD [Savannah College of Art & Design] hands be a one of the "pro" cameras and tells me I could use it. I liked it a lot better than doing video, but couldn't afford one of my own, so I had to let it go. About six months ago, I decided to treat myself and risk some money on a hobby I'd been wanting to try. I haven't looked back since and I don't plan on quitting any time soon. 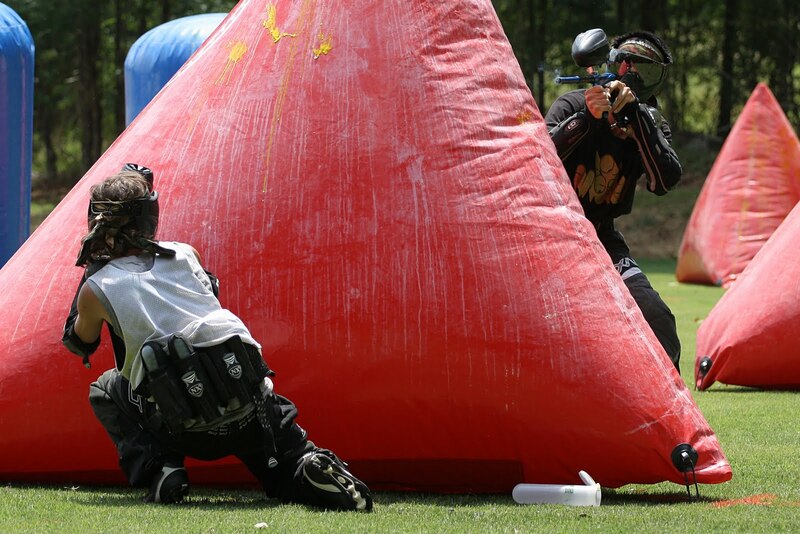 When and how'd you get into paintball? In seventh grade, a friend invited me to his birthday party at a paintball field near my house. I showed up in shorts and a tshirt and had a blast. My mother didn't like the welts, so it was a while before I was allowed to play again. I played as often as my allowance or paycheck allowed. I played for Georgia Tech for a while, but now I just play recreationally. I thought photography would be less expensive, but it seems I was wrong. Still, every once in a while it's nice to be behind a gun instead of the camera. What are the most difficult things about shooting paintball? Learning the layout. I have to know how the field plays just like the players do, just for different reasons. Where my shots are, where I'll get shot from, where I'll move as the game progresses, and how I can get the results I want. 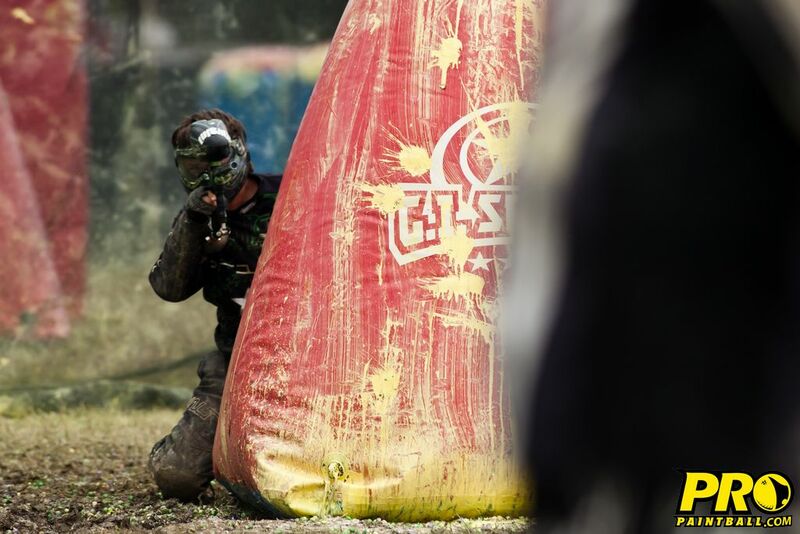 I think having played paintball helps me predict how a game will go and where I should be to get good pictures of it happening. I do my best to keep from affecting the game by giving away player positions, looking too much like a player, or blocking referees from seeing the game. Everyone on the field has a job to do and there's some mutual respect between all of us in the sense that we all do our best to stay out of each others ways; part of my job involves becoming part of the scenery like I'm not even there. What equipment are your using? A Canon Rebel XS DSLR camera body with a Canon 70-200mm f4L lens. That's the bread and butter, but I often have some new gadget or technique I'm trying out. As with most photographers, I have a wishlist that far exceeds my bank account, but those two main pieces of gear will probably be with me a while longer. Better gear in the right hands can mean better pictures, but the reality is that sport photography is mostly about technique, skill/experience, and luck. Having the most expensive toys on the field doesn't mean anything if you don't know how to use them. What distinguishes your work from the numerous other photo-takers out there? I put a lot of care into every photo I release. Some people seem to have this idea in their head that digital photography is push the shutter then go home and hit a magic "publish" button and everything looks great. It's not that easy. All of my photos get the attention they deserve because any single one could be the only one somebody sees. Even my worst photo needs to be a shining example of what I'm capable of. What are usually their pitfalls (too much photoshop maybe)? Resting on their laurels. I've not yet gone through a days pictures and thought that I did everything exactly right; there is always something to improve upon, something new to try, or a mistake to correct. Someone who can't find something they could do better, he or she isn't looking hard enough. I'm always looking to refine my style or methods to advance as a photographer. Anyone's work you admire (paintball or otherwise)? I read a lot of blogs, tutorials, forum posts, and websites soaking up as much as I can about all sorts of photography, so listing every sources of inspiration or admiration would be difficult when I can't even remember most of the origins. That said, Jimmy Hickey was an early admiration and still is someone I look up to for paintball and portrait work. 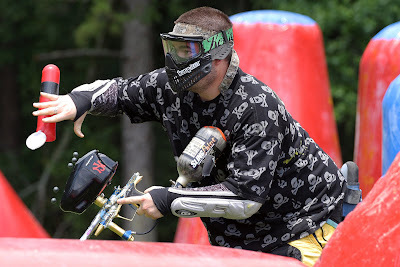 I also have to mention the PhotoMOB, a great group of photographers dedicated to shooting paintball; they're very helpful and friendly and I wouldn't hesitate to recommend any one of them to a team looking to hire a photographer (if I can't make it, that is). Have paintball leagues been inviting for a new media guy on the block? How have the various leagues treated you? It can be difficult getting on to the field for some leagues, but once on the field I haven't had any trouble at all. Every league has different rules, and most require approval before you can get on the field. 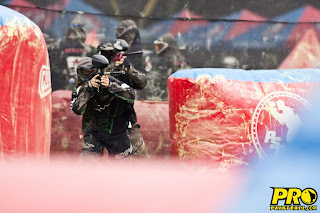 There are hoops to jump through for every league, and some are more worth it than others, but I still have fun while I'm taking pictures and can forget the majority of the complications. Making a living with photography: Dream come true or something on the side? As cool as it might be, I highly doubt I'll ever make the majority or my income through photography so long as I have a regular job. Professional pictures are honestly a luxury and the work is inconsistent at best. I hope I never have to quit, but there may be times in my life that the camera gets put on the shelf while I get other things back in order. So how can we see your work and acquire your services?